For the first time ever, the AAP has included guidelines for bed sharing in its most recent report on safe sleep and reducing the risk of SIDS. On Monday, October 24, the American Academy of Pediatrics (AAP) released updated guidelines for safe sleep. The purpose of the report is to help educate the public about safe sleep practices,in order to help reduce occurrence of SIDS. For a quick overview of dos and don’ts, download the Doula Training International Doula Institute’s PDF. Many of the recommendations will be familiar to anyone who has read the AAP’s previous safe sleep guidelines, which were released in 2011. For example, the report reiterates the importance of placing babies on their back for sleep, using a firm mattress, and never placing soft objects (such as stuffed animals or pillows) in the crib. The report also says that babies are safest when they sleep in their parent’s room, in their own crib or basinet. This reduces the risk of SIDS by 50%. Where the AAP differs this time around is their recommendations for bed sharing. As stated above, they AAP still found that babies are safest when they sleep in the own space. However, the report acknowledges something that any new mom or dad already knows: parents of newborns are tired. It’s not uncommon for them to fall asleep while feeding their baby at night. This is especially true for breastfeeding mothers since the act of nursing releases hormones that physically relax her. According to the report, parents need to be cognizant of this and plan accordingly. Most importantly, the AAP states that couches are armchairs are particularly dangerous for infants. The risk of asphyxiation is much higher. If parents are worried that they will fall asleep while feeding their baby, they should bring the baby into bed with them. Additionally, the report outlines how to make an adult bed safer for baby. 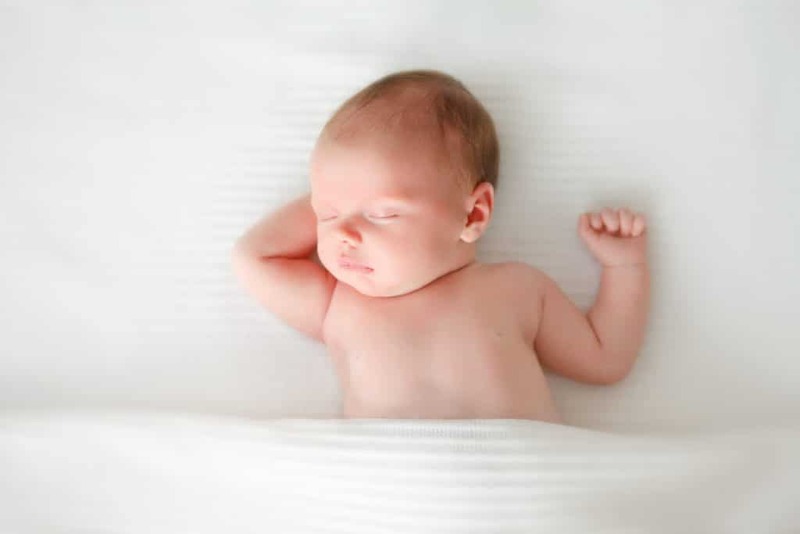 Bed sharing has been a controversial topic, but since upwards of 60% of parents admit to sleeping with their babies at least occasionally, it’s crucial to make sure they are doing it safely. To ensure safe sleep for baby in an adult bed, any loose bedding – including pillows, blankets, and top sheets – should be removed. They can obstruct a baby’s airway or lead to overheating. Parents also need to make sure that their mattress is firm. The report, however, still affirms that a separate sleep space is the safest for infants. Once the parent wakes up, they should return the baby to their crib. Outside of the bedroom, the report lists several other factors associated with a decreased risk of SIDS. This includes breastfeeding; using a pacifier; following the recommended vaccination schedule; and refraining from smoking, use of illicit drugs, and alcohol during pregnancy and postpartum. The AAP also tells new parents to be wary of any devices that claim to reduce SIDS as these claims are generally unfounded. Lastly, it is important to share this information. The report states that everyone who works with infants should become familiar with these guidelines and help educate parents.